The French company Dassault offered to Belgium the total compensation of the contract over 20 years, but it was rejected because "not formal". France has promised to Belgium a compensation of 20 billion Euros if the nation will buy the Rafale fighter jet from the French aircraft manufacturer Dassault. The news was released by the Belgian newspaper De Tijd. Defense Minister Steven Vandeput was not impressed by the French offer. He told De Tijid that this proposal "it is too good to be true". Vandeput also said that Paris did not comply with the Belgian Government procedure because it wanted to offer more than the other competitors, but the criteria issued for the purchase of the new fighter jet must be respected. Belgium launched a tender in March 2017 to replace its aging F-16 fleet with 34 new fighter jets, but French did not formally respond. 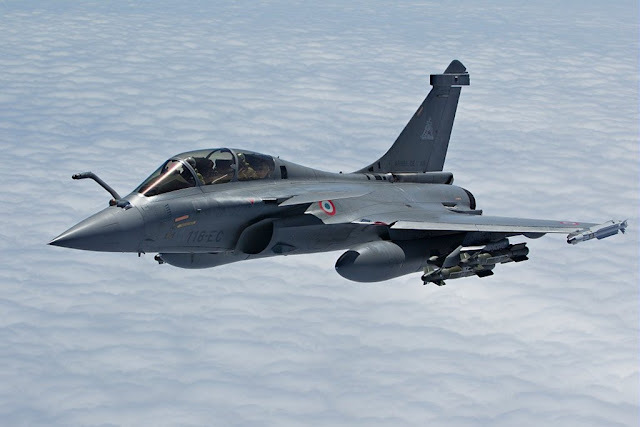 Florence Parly, Minister of the French armed forces, sent a letter to his Belgian counterpart on Sep. 7 promising industrial cooperation if the Belgian to choose the Rafale, but it was not considered a formal response. Belgium has received only two concrete responses. They are from the governments of the UK and USA, respectively bidding the Eurofighter Typhoon and Lockheed Martin F-35. Belgium will now analyse those bids, ahead of a mid-February 2018 deadline for the submission of best and final offers. It will select the winning type in mid-2018.